On September 4, Motorola is going to show off not only a new Moto X, but a new Moto G as well. Don’t believe us? Go back and look at their press invite again, which clearly shows a phone with the letter “G” centered on its display. 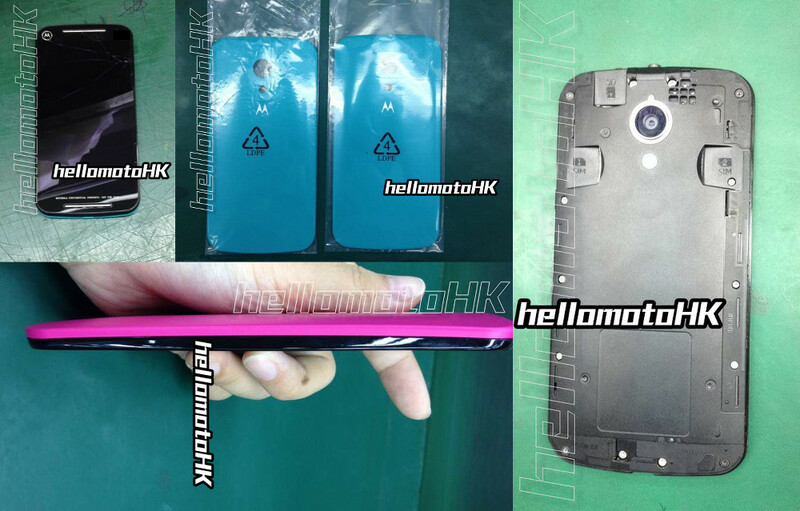 Thanks to the folks over at HelloMotoHK, we may have one of our first looks (pictured above) at the new mid-range device. According to their images and information, the new Moto G will support dual-SIM (international variant) and microSD cards, along with swappable back covers, just like the original. We could also get an upgraded 5-inch HD display, 8MP rear camera, 1.2GHz quad-core processor, 1GB RAM, and the dual-front speakers that were first introduced on the Moto E.
The new Moto G is currently living under the codename “Titan” and model number XT1069. This phone may not be for the Android heavy hitters, but there is no denying the original’s popularity. Thanks to the Moto G and Moto E, Motorola has seen some success in recent quarters. Priced unbelievably well, both phones are selling well in both prepaid and emerging markets. Expect much of the same from the new Moto G.
VoLTE and HD Voice Arrive at Verizon in "Coming Weeks"